Home » Whale Watching » Meet the Captains! 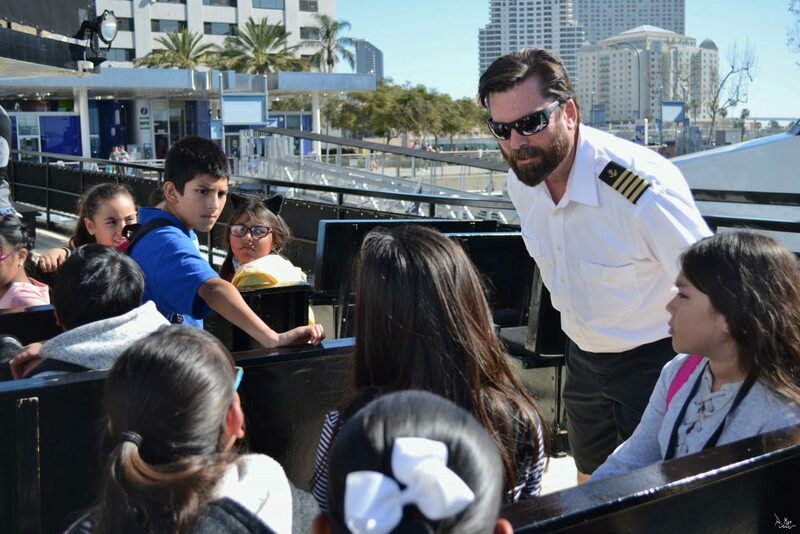 Whale watching expeditions with Birch Aquarium’s naturalists wouldn’t be possible without the talented and experienced captains at Flagship Cruises & Events. 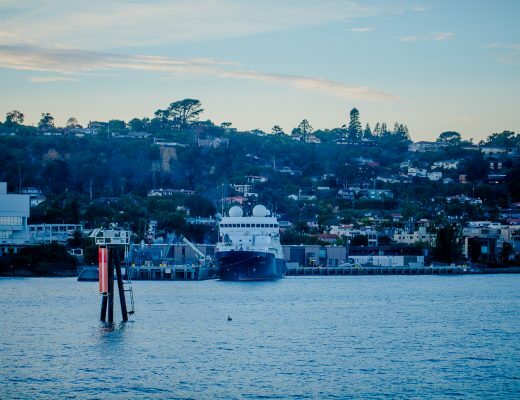 It takes a team to not only spot whales in the open ocean, but also to engage guests, ensure safety, and operate Flagships 90-foot whale watching vessel, Marietta. The Captains have a wealth of knowledge and advice that makes every whale-watching experience memorable and fun in its own unique way. Here is a peak into the experiences, diverse backgrounds, and advice from our captains that helps bring joy to every whale watching adventure. 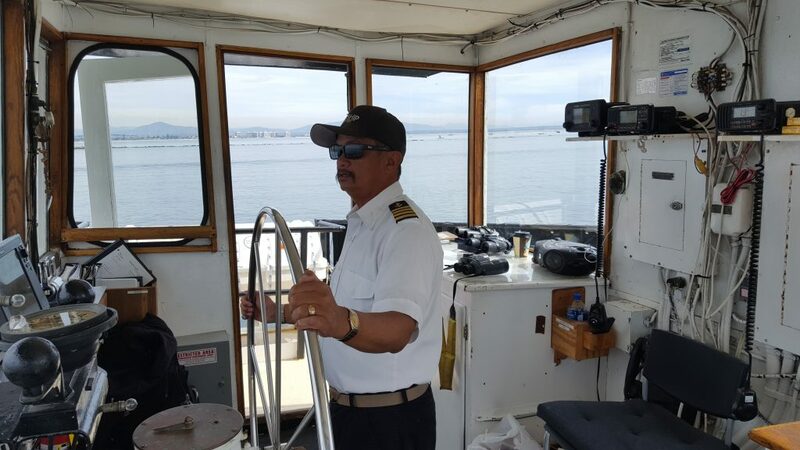 Captain Hieu is known as the Gray Whale whisperer and will go as far as standing on top of the captain’s wheel-house with a pair of binoculars to spot a whale from miles and miles away. He is originally from Vietnam and came over to the United States as a young child after his parents were sponsored during the Vietnam War. He has lived here ever since and calls San Diego his home with his wife and kids. His love for boats and the ocean started at an early age when he helped take care of his family’s personal boat. 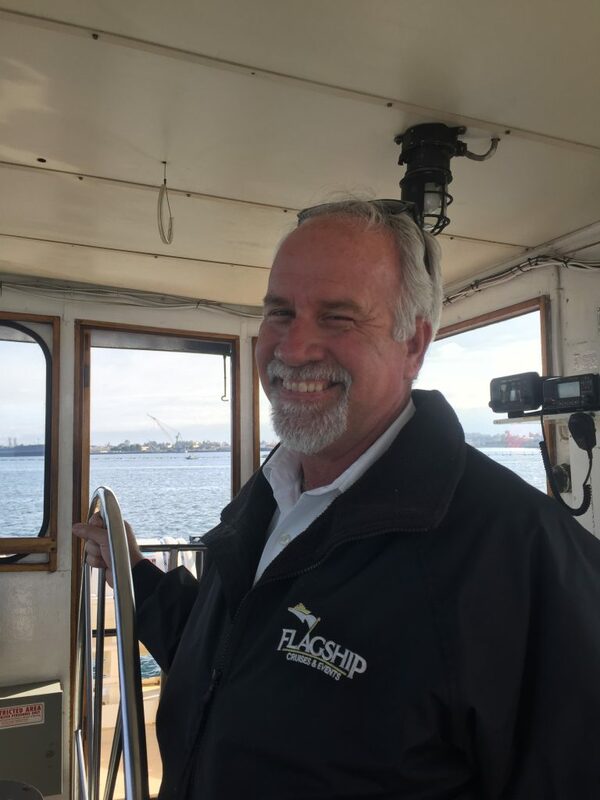 He later worked for one of San Diego’s best sportfishing companies, and today as one of Flagship’s most experience whale watching captains. Captain Charles can navigate the Marietta even in the harshest of conditions and is always keen on finding anything and everything that is out in the ocean. He is originally from Sacramento, California but spent the majority of his early years as a captain in Hawaii, where he received his captain’s license and was a dive instructor in Kauai. Captain Charles draws experience from his seven years as a captain and time spent as a PADI Scuba Instructor and Dive Master. He enjoys sharing his many ocean experiences from his dives all over the world — including Hawaii, Philippines, Indonesia, Thailand, Mediterranean, Caribbean, Sea of Cortez, and California. Captain Dennis always has incredible stories to tell from his experiences as a whale-watching Captain in Hawaii and other parts of the country. After growing up in Chicago, Illinois, most of his experience as a Captain has taken place on the West Coast. Captain Dennis has 17 years of experience and has had opportunities to observe Humpback Whales in Maui, Alaska, and Washington. 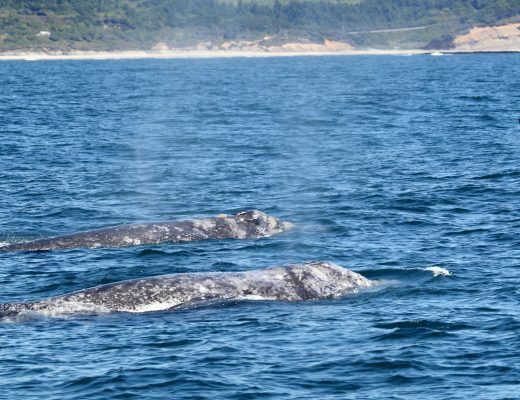 His move to California still allows him to observe whales off our coast but now he gets to witness Gray Whales on their annual migration. 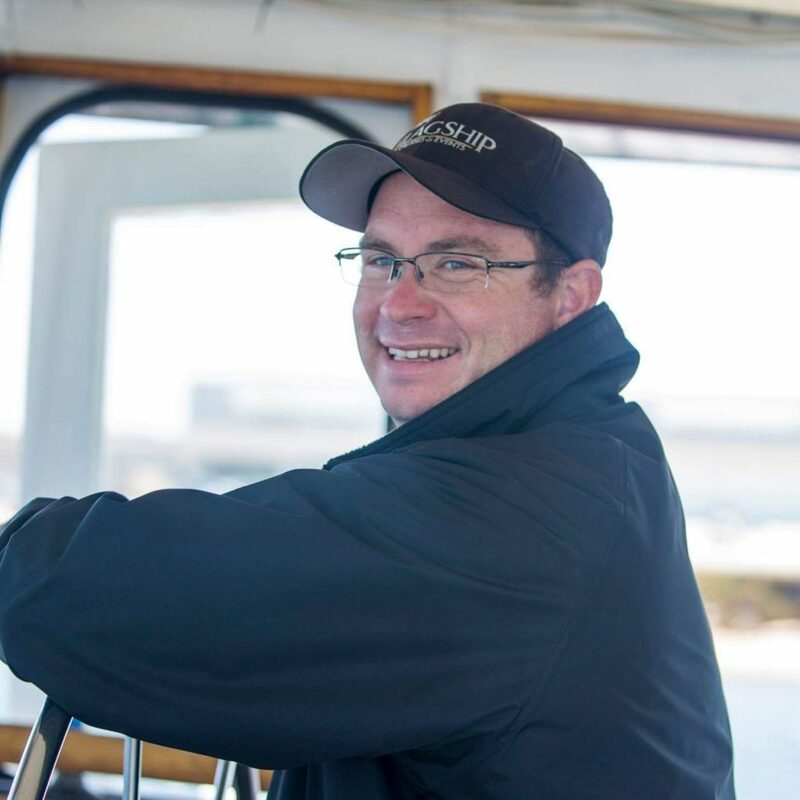 Captain Dan is one of Flagships newest captains to join the team and his enthusiasm and positivity makes for an unforgettable whale watching adventure! Captain Dan is from Seattle, Washington and now lives in sunny San Diego. He spends the majority of his time tending to his personal sailboat. 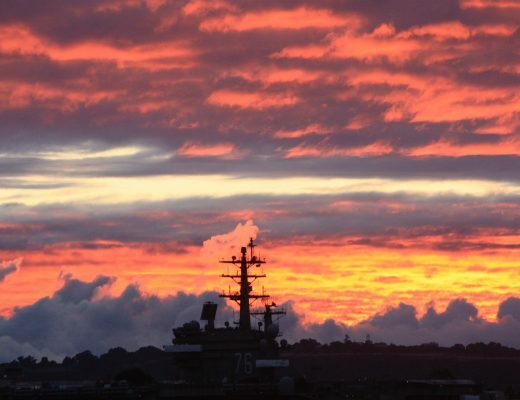 He has been a Captain for 22 years, and most of that time has been spent in Hawaii Seattle, Washington, and San Diego, California. Captain Dan has a wealth of various experiences from driving cigarette boats in Hawaii, running boat tours in Seattle, and operating wake boarding, sport fishing and tourism boats in San Diego.